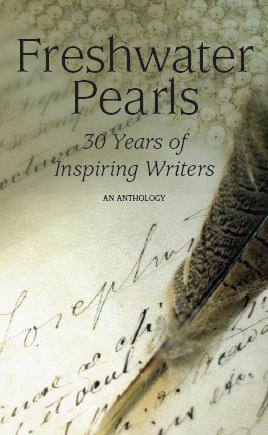 There’s the cover of Freshwater Pearls, the anthology being put together by the Alexandra Writers Centre Society in celebration of their 30th anniversary and being published this September by Recliner Books. It looks like a great selection of work is going to be included. And if all goes well, I’ll be at the launch which takes place Wed. September 21, 7 PM at the Alexandra Centre, 922 – 9 Ave. SE. I’m hoping that we’ll be successful in moving the engagement I already had for that night to the previous week, Wed. Sept. 14th. Which is a talk I’m giving for the Writers Guild of Alberta on The Writing Life at Shelf Life Books, 1302 – 4 St. SW. Once the dates are confirmed I’ll post more details. Canada lost a literary giant on June 21 when Robert Kroetsch was killed in a car accident. I never met the man myself, but I clearly recall reading The Studhorse Man in university and being amazed — this is what a Canadian novel can be. He was a friend and mentor to many writers I know and I’m sorry I never had the chance to meet him. So I am going to a couple of Robert Kroetsch celebrations next week. First up is Tuesday, July 12th, 7 PM, at Shelf Life Books, where there’ll be readings and refreshments. And at 7 PM on Thursday, July 14th, Pages on Kensington is hosting a special July edition of their Flywheel reading series, dedicated to Kroetsch. He was a huge figure in the Alberta literary landscape and I’m looking forward to these tributes. Hope to see you all there.